Since this is the Year of the Gut (I mean Goat…Year of the Goat), let’s review some simple foods that help with digestion. Although superfoods are indeed suped-up, nutrient dense, and often delicious options, such foods can sometimes be intimidating – and expensive. I bet there’s plenty of options already in your pantry that can help promote good digestion. If not, they’re not very hard to find at the store. Cheap, quick, simple, and full of fiber. A bowl of oatmeal every morning for a week will get your belly back on track. Oats come in three major types: old fashioned, quick, and steel cut. Old fashioned are the rolled flakes. Quick oats are pretty much chopped up old fashioned oats. (Chopping up the oats provides more surface area for absorbing water and decreases cooking time.) Steel cut are the sliver-looking oats. They all taste the same for the most part, it’s more of a texture preference. Personally, I like the old fashion oats because they’re hardy and look pretty. You can buy oats in the bulk aisle of places like Whole Foods for $1 to $2 per pound, or you can get a canister for $2 to $5 depending on the size. Please, please, please don’t buy the packets with “natural flavors” and sugars. Add your own fruit, a bit of honey, and spices instead. An apple-a-day keeps the doctor away for sure. Good digestive health reduces and prevents many illnesses. Apples are high in fiber, which is key for cleaning out the ol’ chute. I can probably name 10 max. Let’s see, we got Gala, Fuji, Red Delicious, Golden Delicious, Granny Smith, Macintosh, Honeycrisp, Jonagold, Braeburn, Jazz…and I’m spent. An apple connoisseur understands the delicacies of each type and can rank the apples according to their sweetness, tartness, and robustness. I say, just pick a type that tastes good to you and get a couple pounds of it for snacking, oatmeal, and making applesauce (check out my recipe). You can probably get a pound for $1.50 to $3.00 depending on the season. Bananas have lots of fiber, but they’re also famous for their potassium content. Potassium helps your digestive muscles contract, which allows for a smooth and continuous flow through the GI tract. 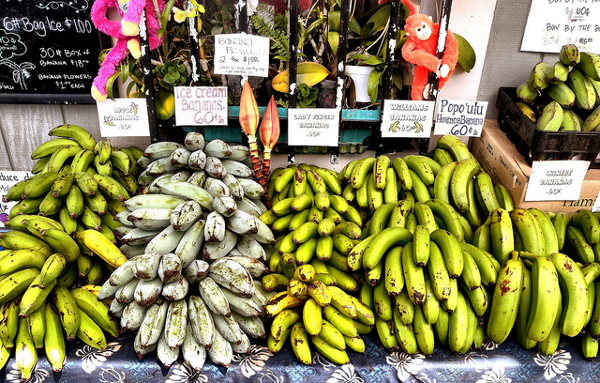 I only know of three types of bananas: the ones I find at every grocery store in America and the Apple and Ice Cream bananas that are grown here in Hawaii. Bananas vary in length, texture, and sweetness, so there’s different uses for the different types. Any standard banana you find at the grocery store is probably a Cavendish. Apple and Ice Cream bananas are a lot smaller and creamier (see photo above, on the left). Larger bananas, like Plantains, are typically cooked and served as a side of a main dish. Bananas can run anywhere from 50¢ to $3.00 per pound. You can throw them in your oatmeal, mash ’em up in a dessert, make a PBB (peanut butter and banana) sandwich, bake banana bread, or freeze them for creamy smoothies. Though sauerkraut is famous for making toots stink, it’s a great digestive aid. Sauerkraut is fermented cabbage. Fermented foods contain probiotics, which are those “good bacteria” that help break down food in the gut. You typically find sauerkraut in rueben sandwiches, paired with German sausage, and in hardy soups and casseroles. If the flavor just ain’t your bag, a head of raw or cooked cabbage will still do you right. A raw head of cabbage might run you up to $2 or $3 a head. A jar of sauerkraut can be $2.50 to $5.50 depending on the size. Ginger is like medicine in many ways – it has anti-inflammatory effects and is used to prevent vomiting and nausea. It’s also great for congestion, chronic or acute. You typically find a small pile of pink pickled ginger on your sashimi plate or ground up in a zesty salad dressing. Ginger can also be added to soups, sauces, and teas for extra flavor kick. You can buy ginger root in the produce section or in powder form in the spice aisle. Of course, I recommend using the root because it’s the purest form of the food. But powdered is good in a pinch and when you’re looking for a sharp, consistent ginger flavor. The root can cost under $3 for a good chunk. It might run more per pound, but you don’t really need a whole pound of ginger. A little goes a long way. You can freeze the root, though, if you want to buy bulk. Powdered ginger can start at $4 or $5 depending on the brand and quantity. It’s always fun to look at ginger like you’d look at clouds. 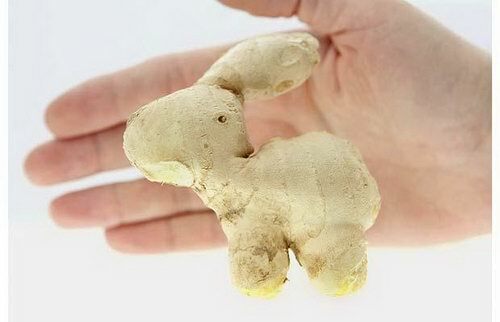 Ginger root usually has an odd shape, but sometimes you’ll find one that looks like an animal (check out Ginger Bunny). Garlic is another medicine food that acts as an anti-bacterial and is known for helping the body breakdown food, curbing heartburn and indigestion. The hubs and I are huge fans of garlic. We put garlic in anything we can. We even eat it raw (I know…gross). Garlic is very common in Italian, Greek, Chinese, and Indian dishes. But it doesn’t stop there. Garlic is one of those foods that can add incredible flavor and aroma to any cuisine, but can also be masked well if used sparingly. Like ginger, a little dab will do ya. You can buy garlic in its bulb form near the onions in the produce section. Bulbs usually run about $2 per pound. Only get a big bag of fresh garlic if you know for sure you’re going to use it or peel and freeze some for later. If you’re not opposed to wholesale stores like Sam’s Club or Costco, you can usually find a big bag of frozen, peeled, whole cloves that will last a lifetime. The hubs and I prefer fresh garlic, but we keep this $10 baby in our freezer as a backup and when we know we’re going to load up our dishes with lots of cloves. We don’t usually consider water a “food,” but it is vital to our existence. It is the food above all foods, really. A hydrated body functions better than a dehydrated body. And a hydrated GI tract means smooth sailing for bodily waste. We know the 8 to 10 glasses of water per day golden rule, but there’s some other things to consider besides quantity. Water quality from your tap is mainly controlled by your local drinking water treatment system. No matter how pure your water source is, however, the water still travels through pipes to get to your home. Many people like to filter their water from the tap to avoid ingesting minerals like copper, mercury, and zinc, and to reduce any odor or flavor caused by chlorine disinfection. The hubs and I don’t filter our tap water, but we probably should. We go back and forth about it – we’ll be super conservative about the quality of our drinking water for awhile, then switch to a more liberal “does it really make that much of a difference” way of thinking. But the one thing we refuse to do is purchase bottled water regularly. Get a durable, reusable water bottle and refill it instead of grabbing another Dasani. Plus, bottle water costs at least $1 per bottle, where drinking from the tap costs just a couple cents. In this Year of the Gut, let’s really focus on developing good eating habits that support digestion. Look at your grocery list and see where you can make some substitutes. Apples and bananas for potato chips? Raw oats for sugary cereals? Tap water for soda? In addition to buying foods that promote digestive health, let’s also be conscious about the social and environmental impacts associated with producing such foods. 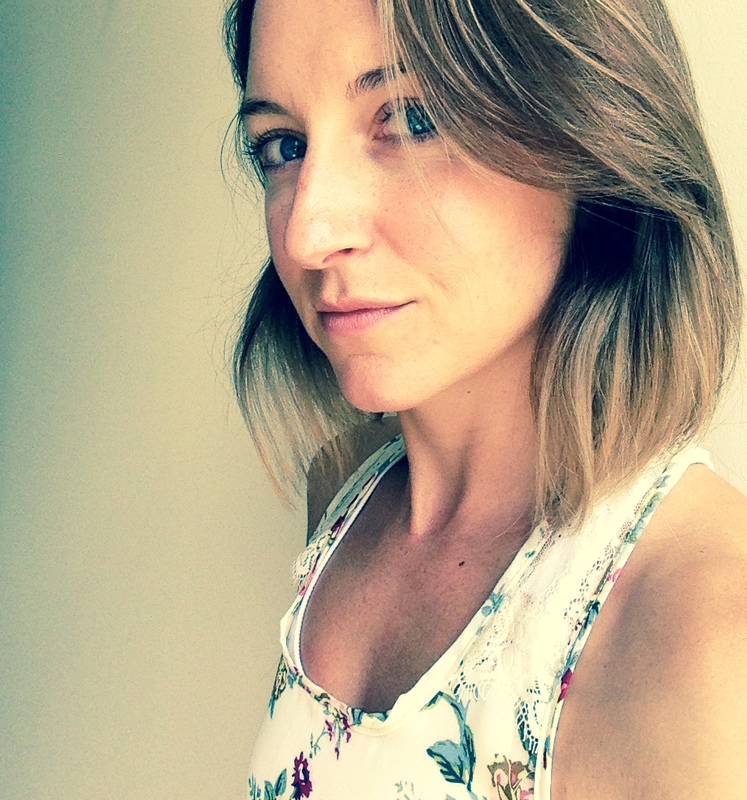 We’re not going to save the world by buying all organic, all fair-trade, all local all the time, but we can certainly initiate gradual improvements by making small adjustments here and there as a collective whole. 7 great foods to add with much more consistency from now on! Thanks! Hi Chris Mom! I imagine your intake of sauerkraut will decrease since you no longer live in Germany :) Thank you for your thoughts!